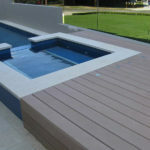 We are delighted to extend our product range with the addition of Composite Decking in Milton Keynes. 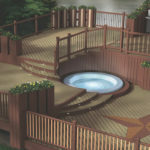 Around 15 years ago, timber decking for gardens and patio areas really took off, and people were delighted with the easy to manage alternative to grass and stone tile / slabbed garden features. 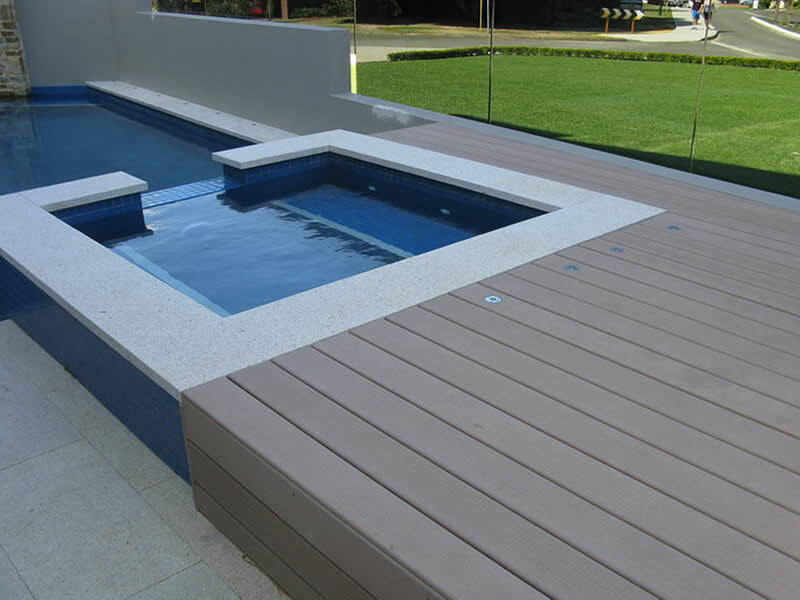 Our new product eliminates all of the problems that timber decking has. 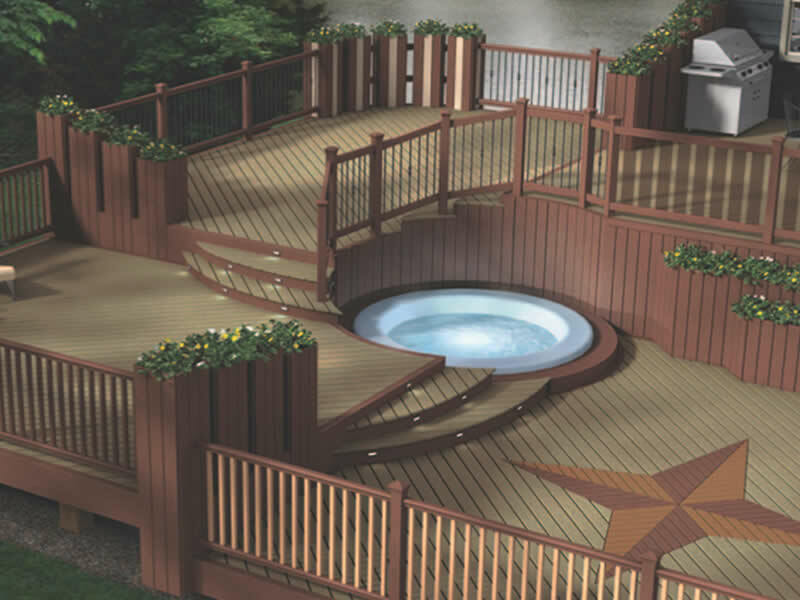 It comes with a 20 year limited warranty, requires no maintenance (other than cleaning), staining or painting. There is minimal expansion or contraction due to weather conditions, it is impervious to frost and is also self coloured, so any chips or damage will not show through! 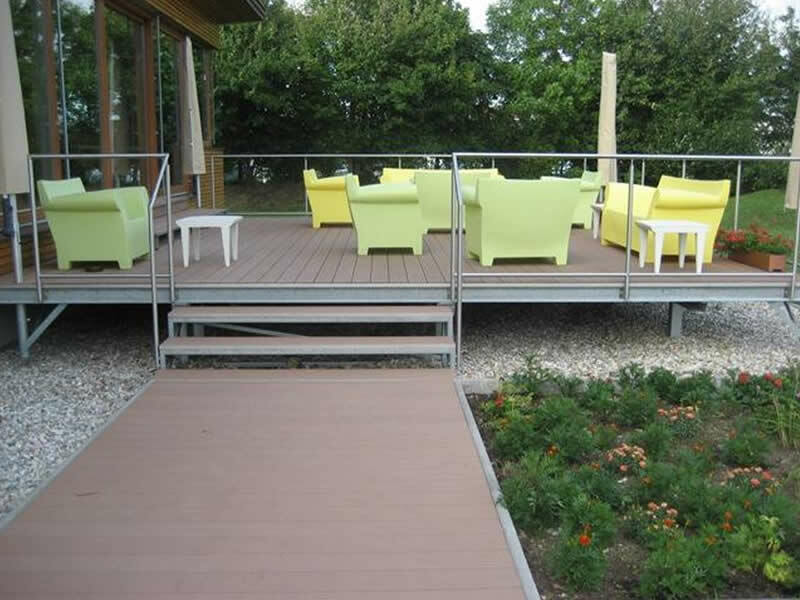 our Composite Decking in Milton Keynes is available in a wide range of colours, including the fashionable anthracite grey, this product will transform any garden, patio, terrace or swimming pool area into a modern, maintenance free area to relax in! 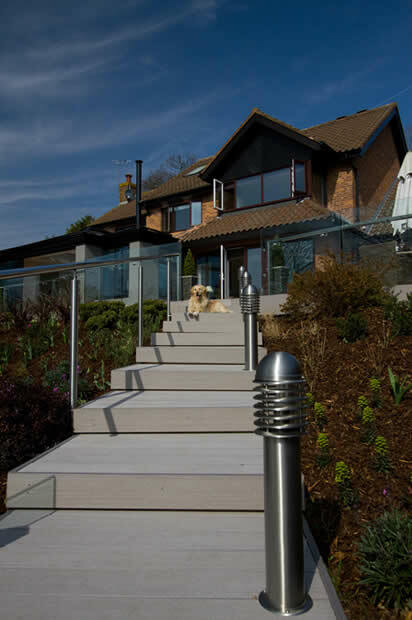 These areas look beautiful when combined with our stainless steel and glass balustrade system to close off your relaxation area from the rest of your garden or property. 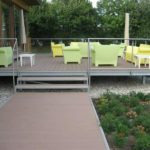 This product offers you the ultimate outdoor ground cover solution. The easy-maintenance boards are water-resistant, rot-proof and splinter-free, while staying comfortable to the touch and a pleasure to look at. These substantial planks have a double-sided finish, allowing you to choose either a more robust or more refined look. They have a wood brushed finish on both visible faces, with anti-slip grooves for safety and comfort.